Translation of “Votes cast for opposition party lists invalidated” appearing in index.hu on April 10th, 2018. Although based on the data received Fidesz’s victory did not depend on this, there are results that raise questions. There are a number of districts where, according to data at valasztas.hu, the number of invalid votes was very high. At one polling station in Baranya county, for example, all votes cast for national lists other than Fidesz’s were strangely invalidated. At the polling station in Bogdás 41 votes appear to have been cast for opposition candidates but not for opposition party lists. It seems unnatural that 41 people managed to cast a valid vote for individual candidates but not for a party list. However, it does appear that in this electoral district there is no opposition supporter who didn’t manage to cast an invalid vote. The total district for this electoral subdistrict can be found here. In the Dejtár subdistrict of Nógrád county’s second electoral district, an incredibly high number (35 percent) of party list votes were invalid. 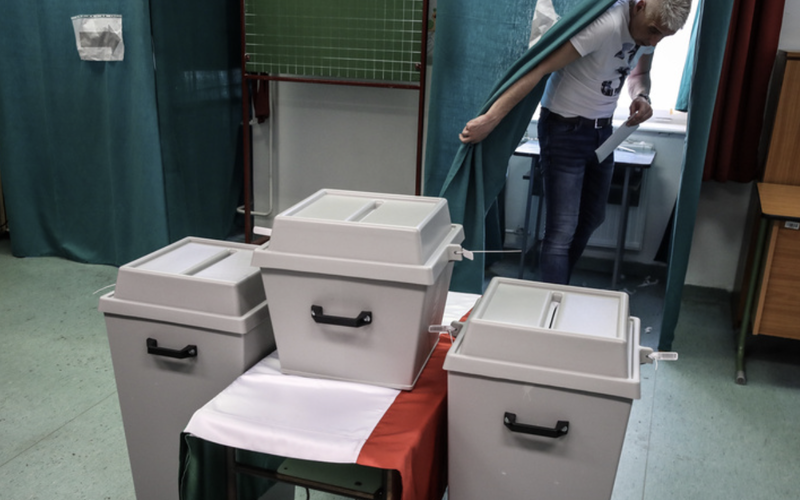 A similar thing happened in Pécsudvard in Barány county: 173 invalid votes were cast in addition to 338 valid ones. As a polling station in Kaposfő, out of 396 votes cast for party lists, 89 (that is, 22 percent) were invalid. At the polling station in Sokolya, seven of the ballots cast for individual candidates were invalid. According to valasztas.hu, 57 cast an invalid vote for party lists. At a polling station in Biatorbágy, 25 percent of votes cast for party lists (192 votes), were invalid, and this is LMP (co-chair and candidate for prime minister-tran.) Bernadett Szél’s subdistrict. In the entire district there were 615 invalid votes, of which 192 came from this subdistrict. Ballots cast for party lists in this electoral subdistrict exhibit another peculiarity: while the Fidesz candidate received 392 votes, the Fidesz party list received 265 votes. And while the 10 percent disparity is strange, 223 votes were cast for Szél and only 53 votes were cast for LMP’s party list, even though 47 were cast for the party lists of DK and MSZP, both parties of which supported her candidacy. So those voting for Szél either did not vote for opposition party lists, or for some reason were declared invalid. Also strange is a polling station in Baja where according to the data at választás.hu, the MSZP-Dialogue candidate received 159 votes but the MSZP-Dialogue joint party list received no votes. The Fidesz list, on the other hand, received around 100 more votes than the Fidesz candidate. Naturally, it could happen that somebody voted for a MSZP-P candidate but not for their list. But in such large numbers this seems strange at least. One person categorically told Pécsi Stop that he had voted for MSZP. Naturally, technical mistakes can also account for the results. We asked the National Election Office about how this might have happened, and we will update our article later.